Any species of extinct proboscideans belonging to the genus Mammut are popularly known as Mastodon. 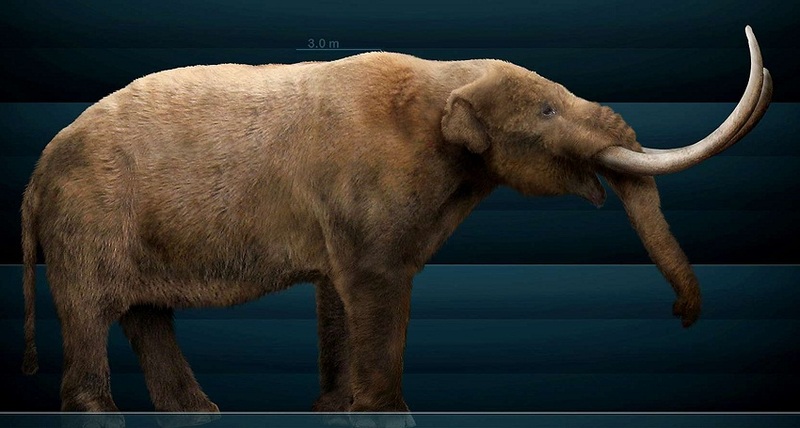 They lived during the Pleistocene epoch until the end of the Ice age and believed to have completely disappeared during the mass extinction of Pleistocene megafauna. 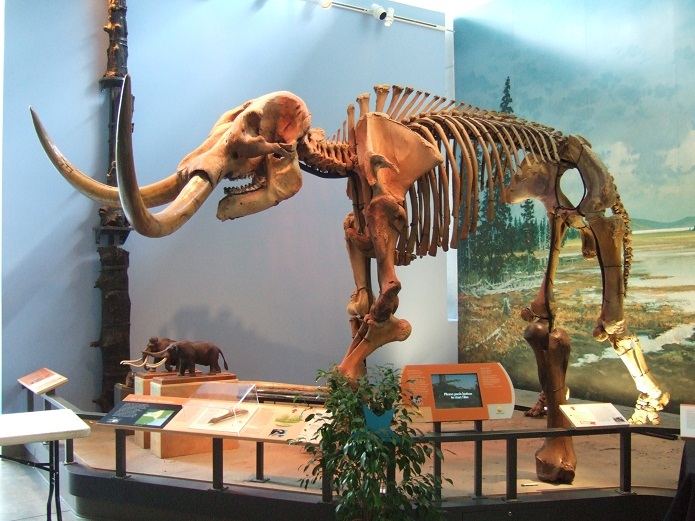 The American mastodon (M. americanum) is the best-known species of this genus. Diet Swamp plants, conifer twigs, spruce, larch, pine, mosses, grass etc. 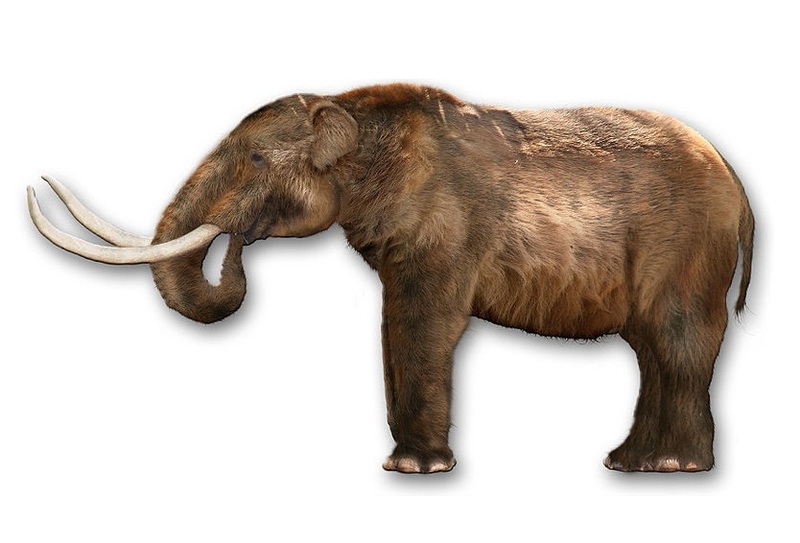 The appearance of the Mastodons was similar to that of the elephant and the mammoth, but they were not closely related to each of them. 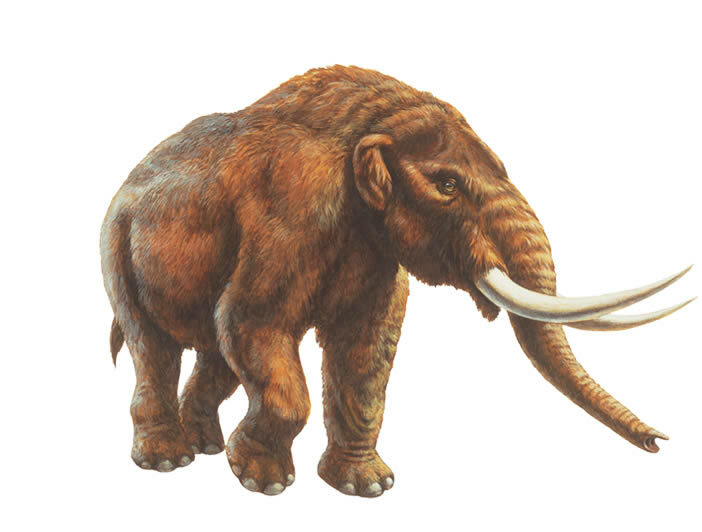 The build of the Mastodons were more similar to the Asian elephants. Compared to Mammoths, they had heavily muscled longer body with shorter legs. Females were smaller than males. They had a long skull and long curved tusks. They had cusp-shaped teeth that were well adapted for chewing leaves and shrubs. Mastodon as the name for a genus is no longer in use; the valid name for the genus is Mammut. The name Mastodon was given by French anatomist Georges Cuvier in the 19th century. However, the name is still used as an informal name for members of this genus. 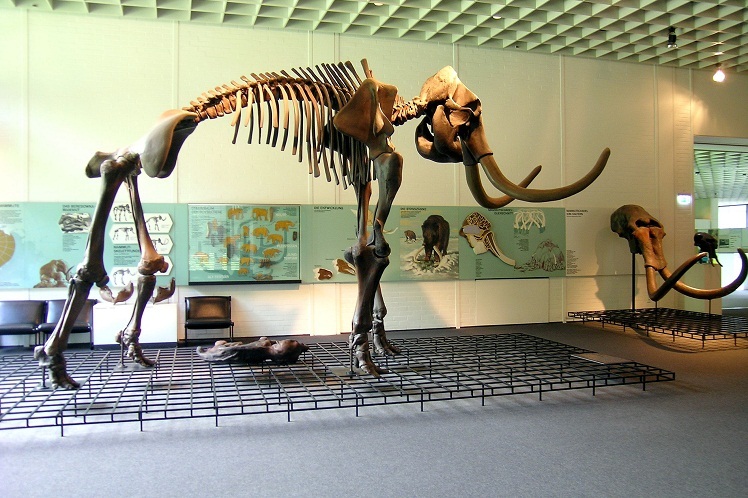 Several fossil samples from North America, Asia and Africa, have been attributed to genus Mammut. However, only remains found in Northern America (M. americanum ) have been named and described. M. americanum is the best known species of genus Mammut. 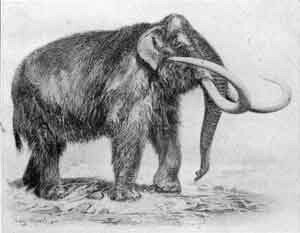 With a thick coat of thick and poorly groomed hair, the appearance of M. americanum closely resembles the woolly mammoth. M. matthewi sample have been discovered in the Snake Creek Formation of Nebraska. Some consider it indistinguishable from M. americanum. Remains of M. raki were found in the Palomas Formation dating from early-middle Pliocene. M. cosoensis, discovered in Coso Formation of California, was earlier thought to be a species of Pliomastodon. Mastodons had, curved, long tusks, but they were not quite as long as those of Woolly Mammoths. It is believed that males battled against each other during mating season, occasionally killing one another. The first bone remains that were studied scientifically were found at the Big Bone Lick State Park, Kentucky by French soldiers, in 1739. The bones were later transported to the National Museum of Natural History, Paris. Scientists have obtained a complete mitochondrial DNA sequence from the tooth of an M. americanum skeleton, found in Alaska. Mastodons lived in small social groups, known as mixed herds, consisting adult females and young ones. Males left the herd to live alone once they reach sexual maturity. Scientists believe that they were sexually active throughout the year. Apart from the American mastodon (i.e. M. americanum), the range of most species belonging to the genus Mammut is not well known. M. americanum skeleton samples have been found from several parts of North America and Honduras (in Central America). It is believed that they did not move to South America because of their dietary habits. In Northern America, species of genus Mammut went extinct around 10500 years ago, as a part of mass extinction. Hunting by human also played a role in wiping out Mastodons. Published on August 21st 2015 by admin under Mammals. Article was last reviewed on 21st August 2015.